Much of his life was not of his own choosing, but James Fairfax’s art collection most certainly was. How any great collector develops their eye and taste would be an interesting thing to track, and sadly a task beyond both the scope of this article and my meagre psychoanalytical abilities. I would however make the point that in James’ case, as with many collectors, he loved the fact that he was in control. Great collectors are natural obsessives, and one may easily make the argument that truly great collecting is a category of mental illness – but for James, the art works were also his babies. 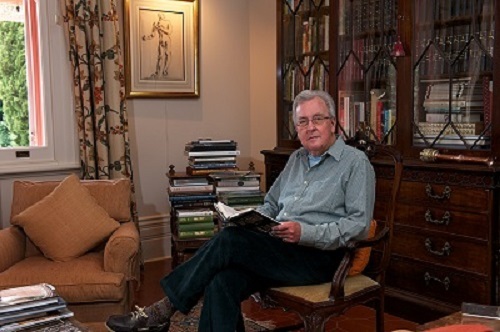 James’ proximity to the world of the arts was part of his Fairfax family upbringing and, like his sister, my mother Caroline (a great collector in her own right), he just breathed it all in, from the word go, every single day. They both grew up in the expectation of being involved in cultural matters, and with the imperative of contributing to them as much as possible. Noblesse Oblige, but without the cynicism that phrase engenders these days. Contributing to society, as its own reward. His first purchase of visual art was at the tender age of 12, in 1945, from the Macquarie Galleries in Sydney – an Eric Wilson streetscape of Paris. Wilson had taught James art at Cranbrook School, and sadly died of cancer the following year, but already, one can see that an intimate personal connection to the work was vital for it to pass muster in James’ eyes. A thread had been started. The young James would often visit galleries with his mother and aunt but would also participate in theatre, opera, ballet, everything artistic. Art was an extension of life, not some optional add-on. A great illustration of this was when his father, Sir Warwick, famously sent Russell Drysdale out to far western New South Wales to document the particularly savage drought of 1944, an undertaking which resulted in the creation of numerous Australian masterpieces. This was no affectation – it was simply what the Fairfax family saw as important, both to them as individuals, and as a family, a company, and for the community they lived in. James himself is best known for his fondness of the work of the Australian Moderns (many of whom he knew personally) and European Old Masters (Titian, Rubens, Canaletto, Rembrandt, ter Brugghen, David, etc). The James Fairfax Galleries in the Art Gallery of New South Wales bears adequate testimony to that – let alone his remarkable gifts to other State galleries in Australia. This European bent is of course a nod to his own Anglican background and his immersion in European culture through his Oxford years – the happiest years of his life, as he often stated – it is what he knew best, and most instinctively. But his collection and artistic desires were in fact far broader than that. I actually think that a more revealing side to James Fairfax’s psyche is shown by his passion for collecting Asian art and artefacts – lesser known, and perhaps a lesser collection on its own, compared to the Europeans, but just as strong a force in his life. His first overseas trip in 1947, aged 14, was to Japan and it had a major impact on him, his cultural awareness, his developing taste, and collecting eye. 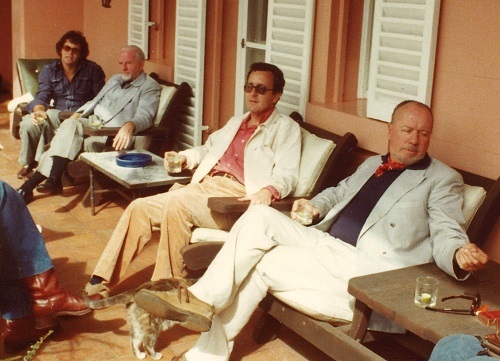 Following a tumultuous few years, he returned to Japan in 1988, and again in 1990, in order to find the mental and emotional space to write his memoirs, stylishly retreating to a 16th century Samurai house near Kyoto – with of course, many other trips, all over Asia, in between, and afterwards. Rural Japan was the perfect place for James to find the peace and serenity needed to reflect on his own quite extraordinary life. My point is that Asian (and especially Japanese) religious, philosophical and artistic thought was a great attraction to James – and not just intellectually – he really absorbed what it meant to be Zen. To be present. And through this, he managed to attain a degree of transcendence that I have rarely, if ever, seen in anyone else. Thus, it was simply a real delight to spend time with him, and a lesson in life to see how he lived his. I have said on many occasions that James was the wisest person that I have ever had the privilege to meet. And by that I certainly do not mean that he was perfect – not at all – I simply mean that James had wisdom and insight in abundance. It is this wisdom that permeates his collection. Several art experts have confided in me that, if James had purchased an example of a particular artist’s work, then that was the work by which to judge that artist’s output. A telling comment. 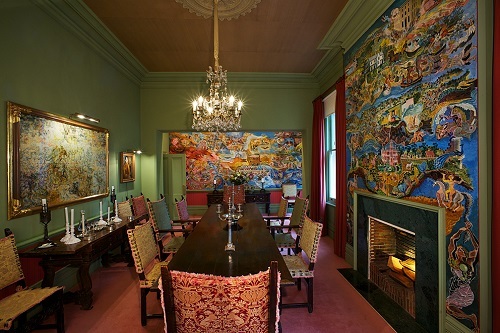 Much of his extraordinary art collection has already been gifted to the public. More will be in coming months – and proceeds from this auction will help create a charitable foundation that will benefit Australians for generations to come, particularly in the area of children's medical research and treatment. An appropriate legacy, befitting the benevolent and generous attitude of the man himself. James Fairfax’s art collection and its subsequent benefaction, is only one aspect of this remarkable man – his contributions to journalism, politics, public debate, medical research, conservation, education, scholarships, philanthropy in general, his knowledge and friendships with artists from Patrick White to Jeffrey Smart, his utterly beautiful houses and gardens, parties with everyone from the Duke and Duchess of Windsor, the Royal families of Britain, Spain and elsewhere, to celebrities major and minor, his connections and contributions both in Australia and internationally, are well worthy of a proper biography – and no doubt that will be attempted at some stage. His dining companions alone would make an extraordinary and fascinating list, and be the envy of the most ardent socialites. But beyond all that, Uncle James was a thoughtful and kind gentleman, and a force for good, who lead by example, and who made a remarkable and lasting contribution to Australia’s cultural life. And, by the way, he was without doubt one of Australia’s pre-eminent art collectors. I sincerely doubt there will be another like him. The words connoisseur and connoisseurship are, in today’s world of instant gratification and easy categorisation, not merely overlooked but thought to represent outdated and irrelevant values. And yet the informed instinct of the connoisseur can see and sense those subtle and often concealed qualities that reveal truth and authenticity. The connoisseur would delight in the art of contemplation. 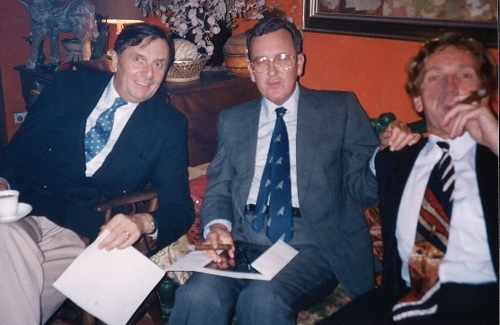 James Fairfax was the quintessential connoisseur; informed, thoughtful and considered; one whose instincts had been shaped and nourished through learning and quiet erudition. Nowhere were those instincts more apparent than in his love and appreciation of art. And like the true connoisseur, he was eager to share that love and appreciation of art with kindred spirits; connoisseurs are in my experience a generous breed. That innate spirit of generosity was, for James Fairfax, a prime motivation for his benefaction. 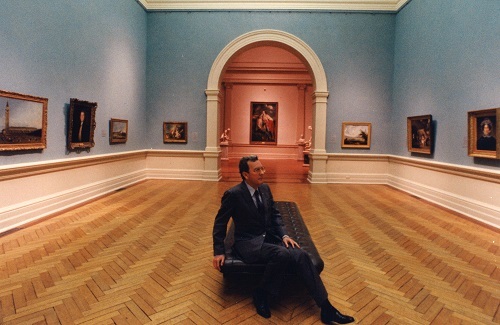 His willingness and desire to share his love of art is demonstrated in the many gifts he made to our art institutions and such benefaction was not only out of that wish to share his love of art, but equally out of his sense of responsibility. 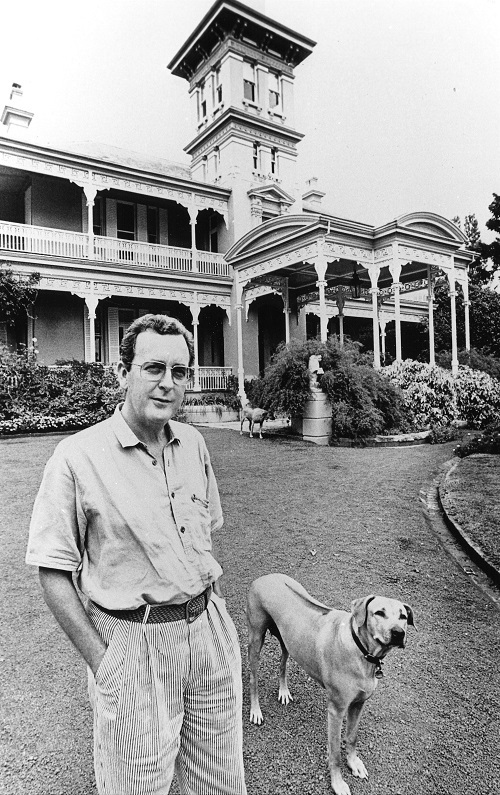 In 1991 James published volume 1 of his autobiography under the rather ironic title, My Regards to Broadway and in the last sentence of the penultimate – but – one chapter, where he sketchily details his encounters with art he writes, ‘I am at present contemplating plans to pass over both my Old Master collection and some of the best of the Australian paintings to public collections’.1 He was, as we know, so well true to his word. James was profoundly conscious of the privileges and opportunities that his circumstances had provided and he felt deeply that those privileges came with a duty to share them. This was not done with even the slightest sense of superiority, far from it, for James was a discreet and modest person; thus it was that his private passion became a quiet but public benefit. 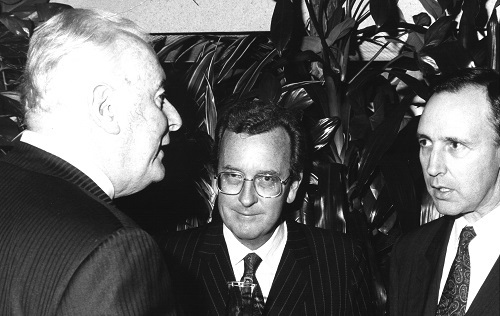 It was back in the late 1980s that we began to discuss with James his intentions to support the Art Gallery of New South Wales. In 1991 he donated Jacob van Ruisdael’s Wooded hillside with a view of Bentheim Castle, c.1655–60; it was to be the first of many. At the time of that first gift the collection of European Old Masters in the Gallery was modest at best and I had no great ambitions for its enhancement, bearing in mind the relative paucity of suitable works, the likely costs involved and of course the relentless presence of other priorities. It was that gift and the promise of more to come that ultimately gave the Gallery both the interest and the opportunity to enhance that modest representation. His benefaction significantly changed the complexion and above all the status of the Gallery’s European Old Master collection, not only with his own gifts but in the stimulus and confidence it provided the Gallery to pursue further acquisitions. 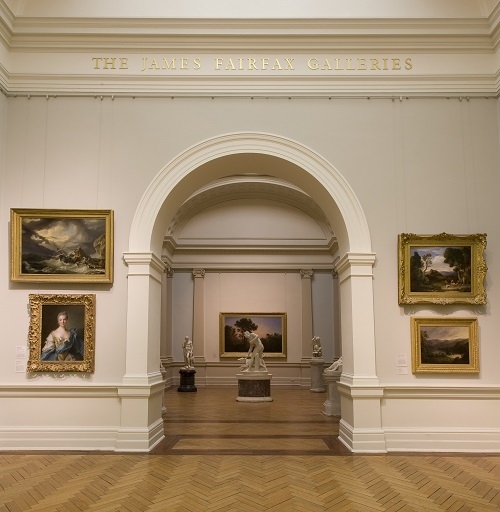 In 1992 the Gallery staged an exhibition and published a catalogue of the Fairfax collection, which included works donated by James to other institutions. These included; Jacob Jordaens’ Mercury and Argus, Jan Steen’s marvellous The Wedding Party, and a number of Rembrandt etchings to the National Gallery of Victoria, and Vernet’s beautiful suite of four oil on copper panels illustrating The Four Times of Day to the Art Gallery of South Australia. Both the exhibition and the book included works which were to become gifts to the Art Gallery of New South Wales and which now hang in the aptly named James Fairfax Galleries. 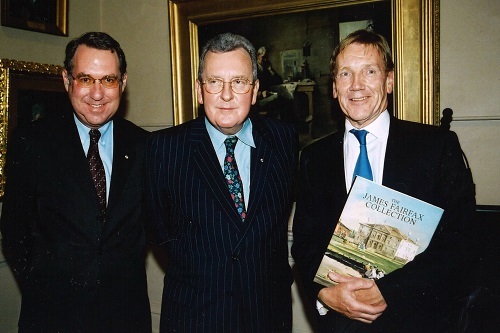 During the decade of the 1990s, James gave to Sydney twelve paintings and six important drawings. These works indisputably reveal much about his personal art collecting journey as well the subtle shifts and evolutions in his taste; understandably with increasing knowledge and confidence a more varied flavour emerged in the breadth of the collection. Throughout that journey however, there is no doubt that the works of art James acquired were a consequence of his, and his alone, determinations. Like the true connoisseur, he was no compulsive buyer for he would look, contemplate, re-visit and, in particular with his characteristic sense of responsibility, thoroughly research the provenance of any work he was considering. Thus it is that every work of art in the Fairfax collection bears the subtle stamp of approval of James; and therein lies its aesthetic cohesion and compatibility. There was only one occasion that I can recall when he asked me what I thought about a painting before he purchased it; and that was Moroni’s Portrait of a Young Man, c.1565–70 which he bought from Colnaghi in New York in 1992 and which now happily adorns the walls of the James Fairfax Galleries in the Art Gallery of New South Wales. Like many, if not all, passionate art collectors, James did enjoy the occasional quest and subsequent discovery. In 1989 he bought Jacques-Louis David’s portrait of a rather unsmiling Madame Ramel de Nogaret, which in some ways was an unexpected purchase; not because of the painting itself but because of the severity of the subject. Maybe he knew that somewhere there was the accompanying portrait of Monsieur Ramel de Nogaret, because six years later he found that companion picture in a sale at Hotel Drouot auction house in Paris and thus re-united husband and wife, from which one draws the inevitable conclusion that Monsieur appears to be a much more agreeable prospect than Madame. James’ attachment to his art is manifest in his taste and his acquisitions; the collection could only have been made by him and his eyes and sensibilities. Whilst it is difficult to make any overriding assumptions, there is a sense of intimacy that is revealed in his selection. James, in his own fastidious way, remembered almost everything about his collection and the process. He recalled, for example, the purchase of his first Old Master drawing, Ingres’ pencil sketch of the Hon. Frederick North, which he purchased in 1964 for what the then thought the ‘vast sum’ of £8000 and which is now in the Art Gallery of New South Wales – a drawing which he also recalled my earmarking as a particularly desirable acquisition for the Gallery. Of course James was attracted not only by the sheer eloquence of Ingres’ deft and lightness of touch in such drawings, but also by the subject; North was a kind of aristocratic aesthete, connoisseur and eccentric who travelled widely, read Greek and several other languages and would apparently arrive at dinner parties in London wearing the academic robes of the University of Corfu, of which he had been the founding chancellor (in 1824). James would have approved. Whilst it is for his evolving collection of European Old Master works from Titian to Ter Brugghen, Guardi to Delacroix and beyond, that James is best known, it should not be overlooked that he remained an active buyer and supporter of Australian art. 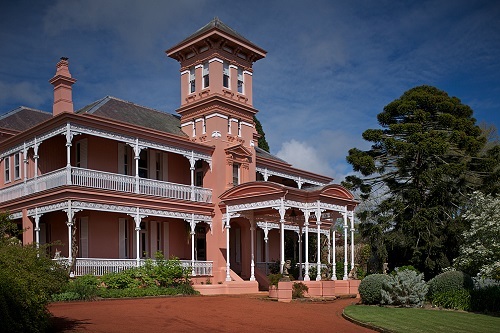 Indeed, the house in England was a mini museum of Australian art and, with his lifelong fascination with Japan, the arts of Asia were a constant feature of his art collecting life. There was one small painting in his collection which I personally coveted and which I first saw at Retford Park probably two decades ago. It was hanging in the main drawing room adjacent to the very much larger and dominant Titian portrait; some years later it was not there. 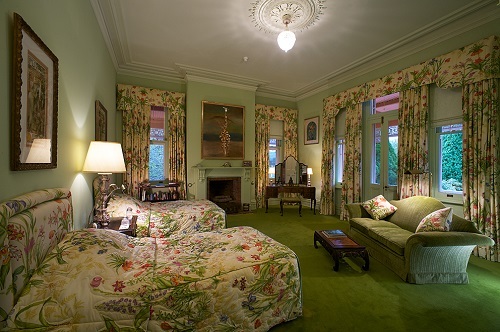 It had been removed to James’ bedroom where it remained to the very last and I can understand why. It is a small picture of great delicacy, intimacy and beauty, a true connoisseur’s choice, by the baroque painter Giovani Francesco Romanelli (1610 – 1662) The Three Marys at the Sepulchre, painted circa 1646–8 which, with its characteristically bright colours and mellifluous texture, is reminiscent of late Renaissance Mannerism. As a religious work it is an unusual choice for James, but in all other respects it reflects, in its quiet and contemplative assurance, his own composure. In an interview with the Sydney Morning Herald in 1999, when asked ‘did he ever feel a pang about giving away so much’ he characteristically replied, ‘there’s far more pleasure than pang’. In the past, great benefactors to the visual arts have generally doubled as tastemakers. Their success, as the US critic Jed Perl recently noted, is often best judged by the extent to which their avidities become what the culture takes for granted. But how does taste, which is private, become public in this way? It’s a complicated question, and in answering it one can never hope to filter out sheer force of personality as a decisive factor. In curmudgeonly cases such as Grenville L. Winthrop, whose spectacular collection is showing at the National Gallery, and Albert Barnes, as well as more effervescent personalities such as William Beckford or Peggy Guggenheim, a degree of egotism and grandstanding inevitably play their part. Although tastemakers are generally what Perl called ‘oxygenators of the new’, in Australia, a country understandably more obsessed with its present and future incarnations than its past, they can usefully take on a contrary role, that of ‘oxygenators of the old’. On a recent visit to Sydney, I went to see an exhibition of James Fairfax’s collection of European Old Masters at the Art Gallery of New South Wales. For many years Fairfax was the director and chairman of the Fairfax media empire, which owned the Sydney Morning Herald and the Age (newspapers of record in Australia’s two biggest cities), as well as a number of television and radio interests in Australia and overseas (including, for a short spell in the Eighties, The Spectator). The Fairfax ownership of the Sydney Morning Herald was one of the longest continuous family ownerships of any publishing house in the English-speaking world. But in 1987, a failed takeover bid by James’s half-brother Warwick sent the company into receivership. The debacle left James Fairfax dismayed and, one can only presume, saddened. But the sale of his shares also left him with an extra A$168 million in the bank, which meant, as he put it himself, ‘I had rather more to spend on paintings than before’. Philanthropists such as Winthrop and Barnes function as reminders that a cantankerous character and a streak of cultural generosity can go hand in hand. James Fairfax strikes one as a very different case. Despite the fate of the family company, he is remarkably free from bitterness, and very far from being the old curmudgeon that Winthrop clearly was. He has collected and given away a great deal of Australian art, but over the past two decades, his specialty has become Old Masters. Unfortunately, Old Master collecting in Australia, even when coupled with philanthropy, is liable to be seen by large sections of the public as an elitist indulgence. Given the relative dearth of Old Masters in the country, appreciation for anything less than the most obvious examples of greatness, on which everyone can sagely concur, is considered more or less a waste of time. This was proved in a depressing spectacle last year, when an unprecedented loan of several Italian masterpieces and many provincial works of nonetheless substantial interest came to Australia’s National Gallery. The show was panned, however, in Rupert Murdoch’s national daily, the Australian, on the grounds that the works were minor – and poorly conserved to boot. The review so angered the Italian lenders that it will likely be a long time before another exhibition of Italian Old Masters is allowed anywhere near Australian soil. In Australia, elitism – a word finally impossible to separate from true distinction in the arts – carries a more than usually pejorative connotation. Inside the Sydney exhibition of Fairfax’s collection (which includes paintings by Rubens, Moroni, van Ruisdael, Claude, Boucher, Tiepolo, van Mieris, and Canaletto; six marvellous Rembrandt etchings; and drawings by Ingres, Watteau and Fragonard) I overheard one magnanimous old biddy proffer the opinion that Mr Fairfax was probably ‘clearing out things he no longer wants from one of his enormous homes’. The comment was made inside the James Fairfax Galleries, named in honour of Fairfax’s many contributions to the gallery’s permanent collection, and just a few metres away from ‘Portrait of a Nobleman’ by Titian, bought last year for around A$7 million. It is a painting which, if Fairfax’s previous largesse is anything to go by, is likely to enter the gallery’s collection at some point. ‘Why bother?’ Fairfax may well be entitled to ask. The explanation he gives is almost anodyne in its straightforwardness. All his gifts began, he told me, ‘with a simple idea, which was to give something back to the people who had supported firstly our newspapers, and then the various other activities such as radio and television when they came’. Whatever the reason, Fairfax’s steady stream of carefully targeted gifts to Australian public galleries has breathed life into the permanent collections of each of Australia’s five most important state galleries, as well as the National Gallery in Canberra. 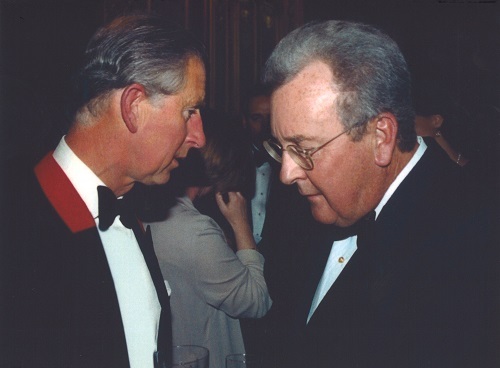 He is also a major benefactor in the UK: his name is carved into a wall in the British Museum’s Great Court; he has established a graduate scholarship at Oxford University; and he has given substantial amounts to a plethora of good causes in the UK. Of course, cynical comments like the one I overheard inside the Sydney exhibition might make any philanthropist think twice. What is the public, after all, but what Kierkegaard called ‘a monstrous abstraction, an all-embracing something which is a nothing’? Why be ‘public-spirited’, especially in this day and age when, in the arts, the idea of a shared community of sophisticated taste and responsive imagination feels hopelessly splintered and strained? In such an atmosphere, collecting, even when coupled with high-level philanthropy, is probably best celebrated for its peculiarity, the loving idiosyncrasy of the sensibility it reveals. Although eccentricity can be what Jed Perl described as the ‘yeast that keeps a tastemaker’s relationship with the public lively’, Fairfax is far from convincing in the eccentricity stakes. He is single, and he seems surrounded by down-to-earth and capable people. What he clearly does have, like any genuine art collector, is a tremendous appetite for sensuous experience, and this finds expression in his collection. When I enquired about the man in the Titian portrait, he described him as ‘wearing a black gown looking towards the left, as though someone were coming into the room. He’s got a very sensitive face’. Collectors such as Fairfax are thin on the ground today. They may be ‘guilty’ of elitism, but they are carried along by the admirably democratic belief that others will come to see what they see. It is impossible to get a glimpse into the life such people lead, or to contemplate the love for art their fortunes enable them to indulge, without feeling a twinge of envy. But how rare and exemplary is the underlying optimism that lubricates their generosity.